Have been kinda busy lately polishing up the code for the editing dialog and low-level code for dealing with OpenStreetMap objects. But the last few days some new stuff has been cooking up. 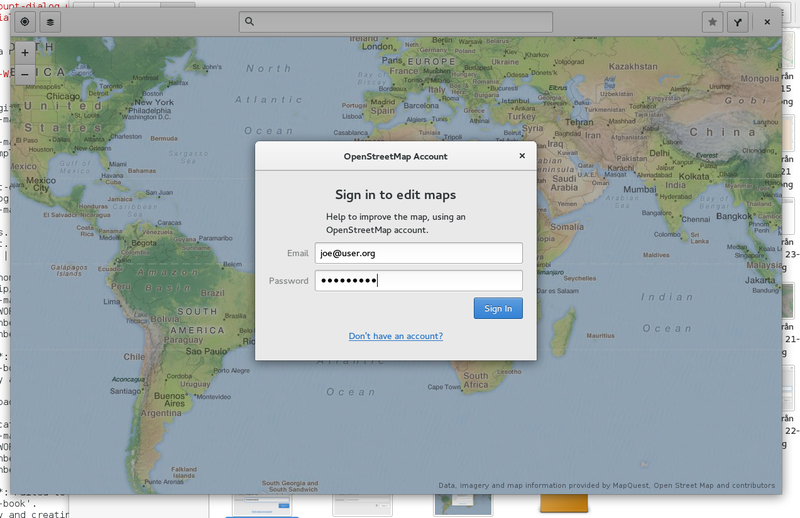 There's now an embryo of the account setup dialog for signing in to an OSM account. 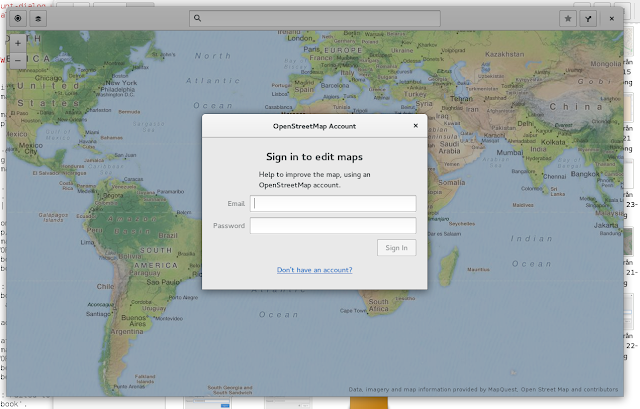 It doesn't actually do anything real yet (like actually signing in… :-) ). 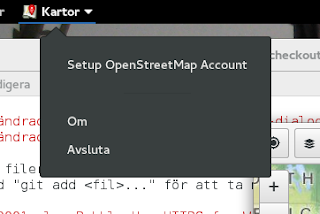 There's an application menu entry for opening up the accounts dialog (it doesn't yet trigger when trying to edit a POI without an account, as there's no support yet for storing account details, and so on…). Clicking on the "Don't have an account…" link will actually take you to the page for signing up for an OpenStreetMap account in your default browser. … which will actually go on forever, as it currently stands, as there is no furher processing done at the moment (well you can ofcourse still close the dialog…). So, the next step will be to boldly go into the uncharted (for me) territories of OAuth negotiation and dealing with system keyring (for storing client credentials).